Dr. Elif Guler, Coordinator and Assistant Professor of Professional Writing and Rhetoric at Longwood, has recently presented her study, “What Yusuf Has Hacib’s Kutadgu Bilig [Wisdom That Brings Happiness] Can Teach Us About Using Language for Unity,” at the 2017 Rhetoric Society of Europe Conference held at the University of East Anglia in Norwich, UK (July 3-5). 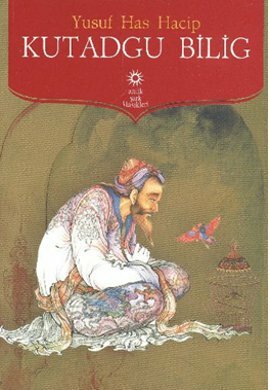 Researched in collaboration with Longwood English/Professional Writing student Chris Crider (https://blogs.longwood.edu/rhetoric), Dr. Guler’s study focuses on the ways in which Yusuf Has Hacib’s Kutadgu Bilig, an 11th-century Turkish text, treats rhetoric as a means to reach happiness and the implications of this approach for harmony and unity within a society. Written for the Prince of Kashgar of the Karanhaid Empire using the old Uyghur alphabet, Kutadgu Bilig [translated roughly as Wisdom that Brings Happiness] is a didactic work in the masnawi style. This extensive allegorical poem deems the appropriate use of language essential to living a fulfilled life—both individually and as a society. Dr. Guler’s presentation explored what Kutadgu Bilig could teach us about alternative definitions and purposes of rhetoric (i.e., communicating to attain happiness) as well as this historical text’s teachings about principles of an effective rhetoric applicable to contemporary global contexts. The study is part of Dr. Guler’s ongoing research on the Turkish rhetorical tradition, part of which she conducted in the Turkish and Ottoman archival holdings of The British Library during the summer of 2017.